A gorgeous Sunday evening in mid-March spent with Makayla and her hilarious boyf River was just what the winter blues doctor recommended. It's that time of year in Michigan where you aren't sure if you should wear your winter coat or just a heavy sweatshirt outdoors but Makayla sported a vintage jean dress and some flowy linen pants for her session, all outdoors. It took use a lot of texts and emails back and forth to coordinate dates, location, and details for her senior session shoot but daaaang was it all worth it. 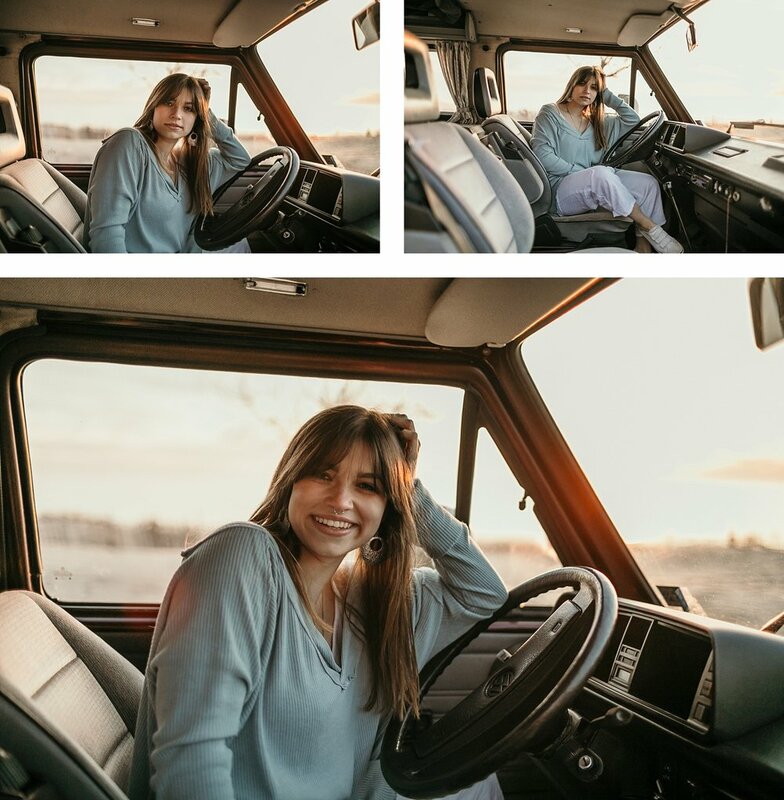 Makayla is a unique soul and brought along a VW van to showcase her bohemian, vintage, carefree spirit. I thought hanging out in a VW van would be the highlight of the night, but it was the 30 minutes we sat in River's car together chatting about life that really hit home for me. Enjoy the rest of your senior year Makayla -- you're nothing short of amazing.